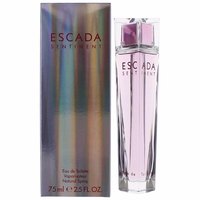 Light and delicately sweet, Escada Sentiment comes in a pink bottle with a heart shaped stopper, a perfect gift for a woman you love. 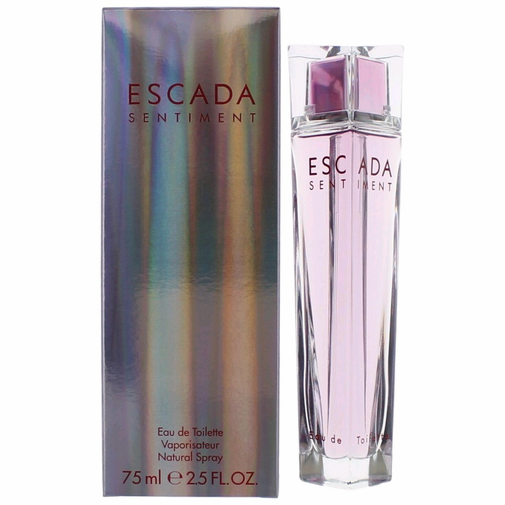 The composition starts with green mandarin orange, magnolia, iris, black currant and red berries. The heart is made of hyacinth, white peach and tuberose. The woody base notes are: sandalwood, palisander rosewood, heliotrope, vanilla and ambergris. Launched in 2000.